Taken on their own, these three issues of Spider-Man comprise a perfectly cromulent mini-arc in a series known for showcasing the everyday issues of its main characters (alongside protracted superheroic fights), but they were more than that. These three issues were the sledgehammer that put the first cracks into the foundation of an oppressive and censorious institution. Let’s back up, though—all the way back to 1954 when a psychiatrist named Fredric Wertham was busy whipping up anti-comic hysteria via his book Seduction of the Innocent, because comics were corrupting the minds of America’s youths and WON’T SOMEONE THINK OF THE CHILDREN??? 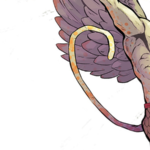 The comic industry, rather than risk government control, created a self-regulatory body known as the Comics Code Authority which imposed draconian restrictions on what could or couldn’t be shown in a comic book. The CCA seal appeared on the front of comics, letting concerned citizens know that what was inside was safe for consumption. Additionally, books without code approval risked not being carried by distributors. Crime, sexiness and horror were all verboten. Good must always be seen to triumph over evil. It was the beginning of an era that gave us a smiling Batman. Flash forward 17 years to 1971. Superheroes have made a comeback and Marvel has done an admirable job of bringing real-world problems into comics that had restrictions on almost any challenging material. Marvel was generally seen as being the more realistic and down-to-earth comics company, so it was no surprise that the US Department of Health, Education and Welfare asked Stan Lee if Marvel would be interested in doing a story on drug abuse. Stan, jumping at the chance to do a story of social import, said yes and wrote this Amazing Spider-Man story arc, which the CCA immediately shot down. They were not prepared to approve any story that showed drugs in any context at all, not even negatively. Stan said that was fine, ignored them, and ran the comics without the CCA seal. Peter, returning home from his pointless trip to London, turns down an offer from his best friend/roommate Harry Osborne to go see Harry’s girlfriend Mary Jane Watson perform in a production of Hair, because he’s broke. Harry also insists that Pete take a job that’s opened up at his father’s chemical company, which is a little awkward because his father, Norman Osborne, is the Green Goblin and the only person who knows Spider-Man’s secret identity. 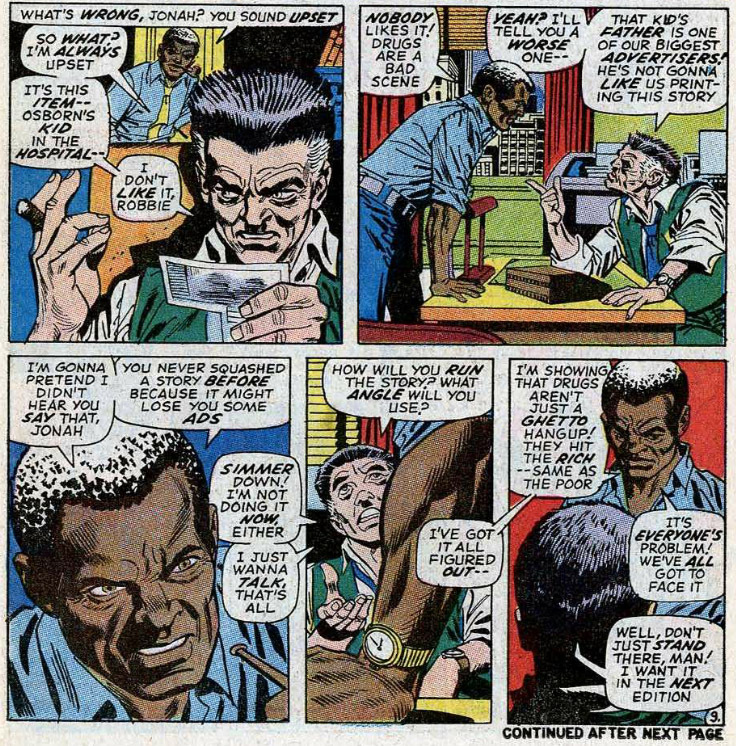 Luckily, he developed CONVENIENT AMNESIA after their last fight and no longer has any memory of Peter Parker or his life as the Green Goblin; now he’s a respectable businessman again. 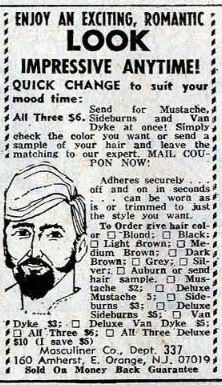 In a move that smacks of not inconsiderable naïvete, Peter thinks “Hey, why not go work for Norman Osborne?” Yes, why not, Pete? He’s only your greatest adversary. What could possibly go wrong? [smdh forever] So he heads over to accept the job in his fringey hippie vest which is also more than a little naïve. Thankfully, Norman does not recognize Peter (though he has a weird moment when he almost seems to) and agrees to take him on as a part-time employee. He also insists on Peter coming to see Hair with him and Harry, and doesn’t take no for an answer, which is a little weird. Like, why are you so adamant about your son’s friend going to see your son’s girlfriend in a play? And why are you all so excited about it? That seems a little creepy. 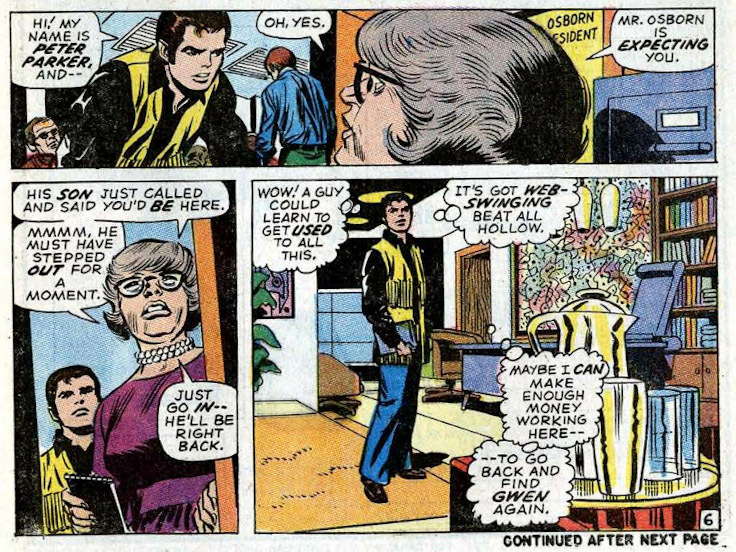 On the street, Peter runs into his Aunt May and her friend who are ALSO going to see Hair. Okay, WTF?? I know Hair was a popular musical, but surely attendance wasn’t MANDATORY. Annnnnnyway, there’s a commotion nearby and Peter changes into his Spider-Man outfit to find out what’s going on. Answer: it’s a kid, high on UNSPECIFIED DRUGS, who thinks he can fly and pitches himself off a building. 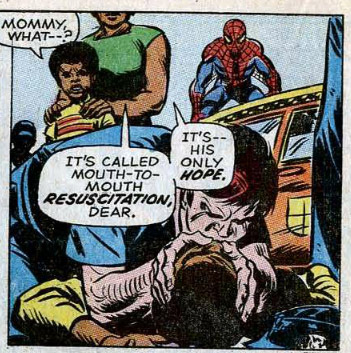 Spider-Man rescues him and delivers him to the authorities who administer mouth-to-mouth resuscitation, because that’s apparently what you do when someone is super high. It was his only hope. Even though there’s a warrant out for Spider-Man, the cops decline to try to capture him, what with rescuing that drugged-out teen and all. Pete changes back into his civvies while delivering a PSA (“My life as Spider-Man is probably as dangerous as any—but I’d rather face a hundred super-villains than toss it away by getting hooked on hard drugs—‘cause that’s the one fight you CAN’T win!”) and then heads to the theatre to see Hair. Outside the theatre, Mary Jane lays some extraordinarily unsubtle flirting on Peter while her boyfriend just stands there, which makes things super-awkward until Robbie’s son Randy shows up and delivers some extremely pointed (and not incorrect) commentary on the topic of civic responsibility to Norman Osborne (which is awkward in a different way). Pete gets changed into his Spidey outfit so he can check out the Weird Door and discovers that Norman had the same idea. See, apparently, when Osborne owned the theatre before, he left a secret room in it which housed a spare set of Green Goblin supplies and the new owners never bothered to go in there. BUT NORMAN OSBORNE DID AND IT BROUGHT ALL HIS MEMORIES OF THE GREEN GOBLIN BACK. DUN DUN DUN. 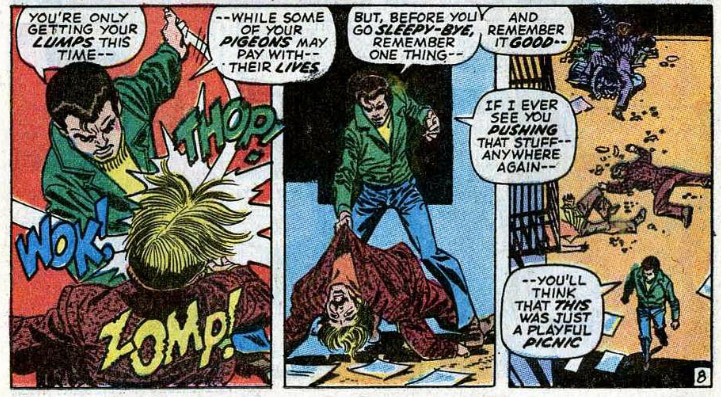 In the ensuing fight, Gobby kicks the crap out of Spider-Man and leaves him for dead, so Pete heads home and gets in a fight with Harry over Mary Jane because he can’t catch a break with anyone. After only a minute of bickering, though, Harry says he’s sick of talking about it, pops a bunch of pills and tells Peter to get lost. MORE DRUGS. Also, can we just talk for a minute about how Harry is supposed to be Peter’s age? He’s consistently drawn as if he’s in his mid-50s. He and his dad look like they could be brothers. 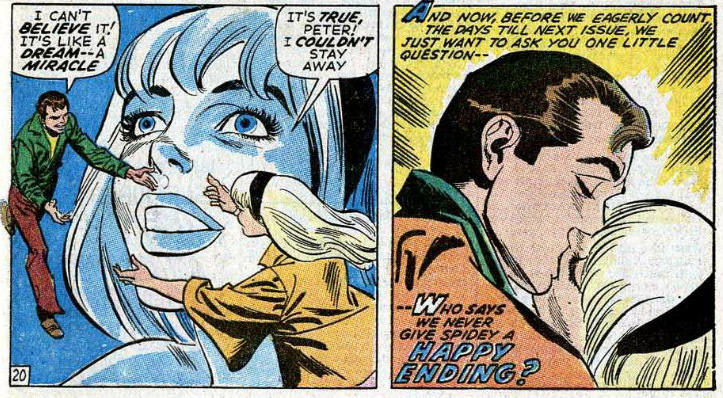 Anyway, the next day Mary Jane is back to flirting with Peter, and Harry storms off, and a drug dealer dressed like a used-car salesman calls him over to sell him UNSPECIFIED DRUGS, and—just so he can get Mary Jane off his mind—Harry agrees, but only as a one time deal; he’s not getting hooked. Well, he might not get hooked, but he has an overdose instead. Peter returns home and tries to call a doctor, when suddenly… the Goblin, having shown up at Peter’s house to destroy him, is chased off by the encroaching memory of who Harry is. Pete gets Harry to a hospital (where they presumably administer mouth-to-mouth resuscitation) and afterward Peter walks the streets dejectedly, thinking of his girlfriend Gwen, while in London, Gwen stands in the window and moons over Peter. 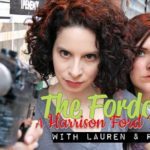 The weird used-car dealer that sold Harry the UNSPECIFIED DRUGS recognizes Peter (somehow) and tells him to relay a message to Harry that he has more UNSPECIFIED DRUGS for him. Pete gets angry and kicks the crap out of the dealer and his two associates, disguising his super-powers as karate and leveling a final threat. MEANWHILE: At the Daily Bugle, Robbie lays down the law with J. Jonah Jameson yet again. 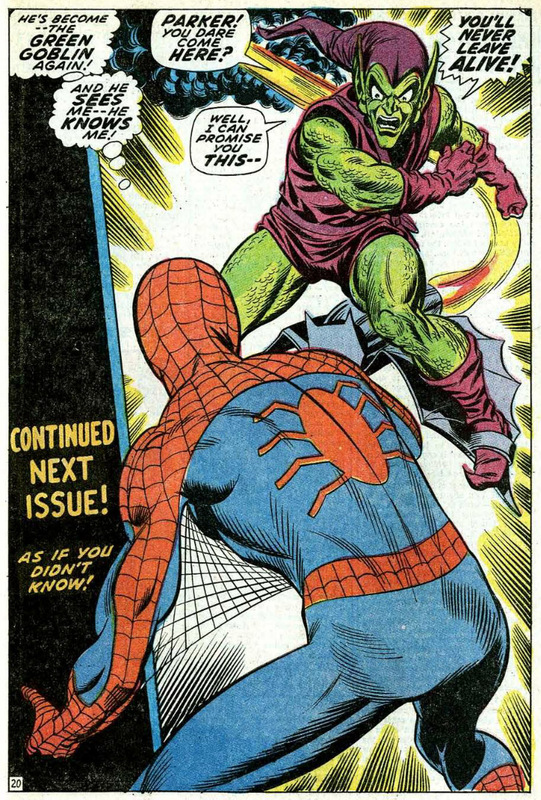 Spidey gets suited up for what he hopes is his final showdown with the Goblin (SPOILER: IT’S NOT). After a tense battle, Spidey wraps his legs around the Goblin’s neck and forces him to fly over to the hospital (no, I’m not lying about that—why would I lie about that?) 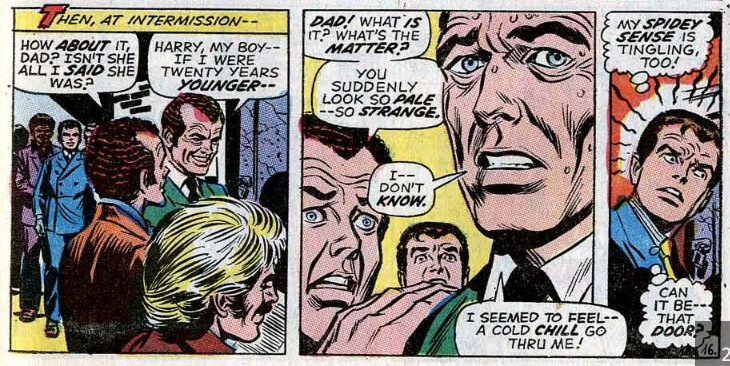 where he’s confronted with his unconscious son which shocks the Green Goblin into unconsciousness and gives him a new case of CONVENIENT AMNESIA. 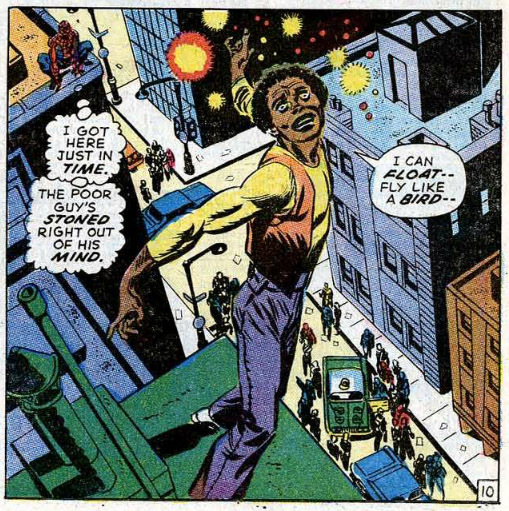 Peter is happy his identity and Harry are both safe, but is still despondent over losing Gwen, when suddenly, RANDOMLY she shows up on the exact New York street Peter happens to be. You know what? We’ll let that ludicrous coincidence go. It’s nice to see Petey happy… because we know it’ll probably only last about 10 minutes. And what repercussions did Marvel suffer for printing these controversial issues? None. Nothing happened, really. Not immediately. Magazine distributors kept carrying Spider-Man, declining to drop one of the best-selling comics. 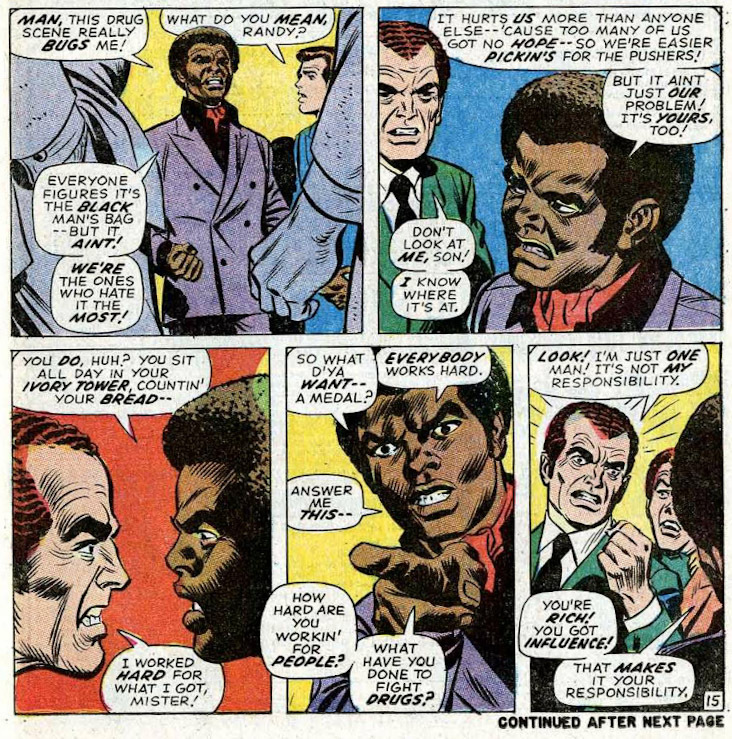 Going forward, the CCA agreed to allow depictions of drug use, so long as it was shown as a “vicious habit.” Ultimately, Marvel ignoring the CCA served to show the Comics Code had less power than it professed to. 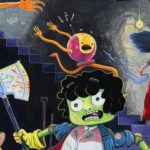 The CCA’s complete dissolution didn’t happen until 2010, but only a couple of years from this point it would loosen its restrictions on horror comics, leading to a new batch of Dracula, Frankenstein and Wolfman comics (and also Blade). 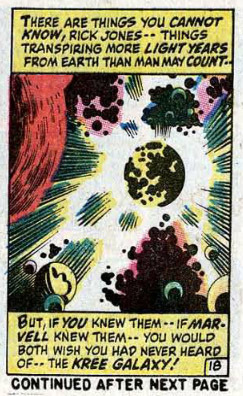 NEXT TIME: THE KREE-SKRULL WAR BEGINS!